XD Okie dokes, so you're probably wondering just what exactly is this "Pimp-age Sector" for? Well wonder no more cause that's why I'M here! Basically, this is the sector in which the club OR fans (ohplzohplzohplz) can share their creations that they have made for the Club itself! You can either just post it up, or even post your PROGRESS (yup I said it) PROGRESS; this means you can post progress reports of the project you're working on (a status report, sketches, ect.) to keep us in tight suspense for your project! and whatever else you wanna add! Ex 03: You can even get ASSISTANCE on your projects! I haz new idea and I needz help! And that's it guys! I'll add more if I can think of anything that NEEDS to be added. Location:The Forgotten Borough formerly known as Staten Island! Interests:Reading, Writing, Roleplaying, Magical Girls, Anime/Manga, Video Games, Music, Friends/Family, and Food! No matter how dark it is, you’re not alone you know? Here's what I need if you want me to edit the blank banner and get yourself a cool new, looking one. 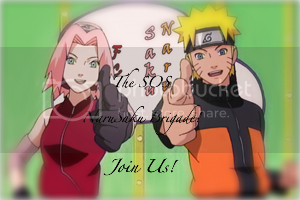 Edited by Deidara Lover, 25 November 2008 - 10:11 PM. Just give me like a color and then what kinda font. (the one i used, some other kind and etc.) And feel free to give me something off of dafont.com. Just post the link to the font and I'll download it. U GET 10 GOLD STARS FOR DIS.